A slim story told with heart, Hawaa Hawaai is among those rare films about the hard lives of impoverished kids that’s never patronizing. Gupte deftly captures the innocence of children, and gives us some terrific moments that are genuinely moving. The occasional false notes notwithstanding, this is a movie that should be watched. I’m going with three out of five for Hawaa Hawaai. Strap up and zoom. HAWAA HAWAAI is all about ordinary people. Those who cross our paths every single day, but we barely glance at them. Neither do we have the time or inclination to think of their existence. It’s the story of willpower and determination. And it highlights the triumph of the human spirit in the wake of adversities. It makes you realize that those who dream have the power to move mountains. It’s about ambitions and finding the hero within. On the whole, HAWAA HAWAAI is a gem that shouldn’t be missed. A wonderful creation with heartrending emotions, this one’s inspirational and motivating. Strongly recommended! 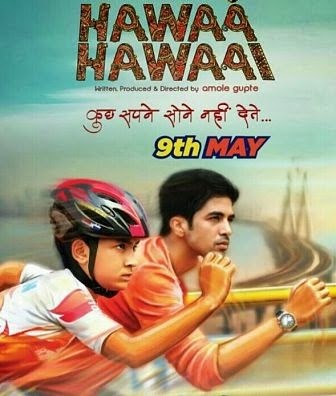 So while Hawaa Hawaai isn’t entirely satisfying, I still recommend that you see it. It is a timely reminder of the intractable horrors that children in this country face on a daily basis. I’m going with three stars. On the whole, Hawaa Hawaai is a fine entertainer which makes the audience laugh, cry, cheer and enjoy. It has the potential to be a hit but its extremely poor start will tell on its business in the final tally. 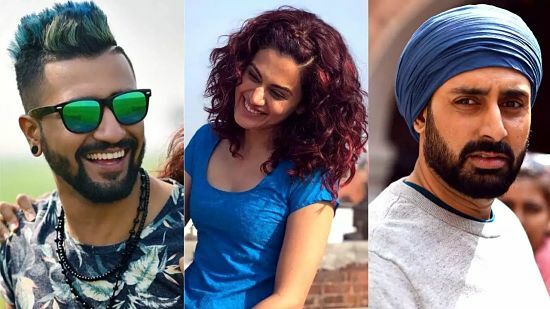 Word of mouth for the film will be positive because of which box-office collections, which were very poor on the first day, will pick up as the days progress. Writer-director Amole Gupte employs the standard tropes of a triumph-of-the-underdog tale to deliver a warm, sensitive and rousing slice-of-life drama. The young boy whose story Hawaa Hawaai is, as well as the four street children who stand by him come hell or high tide, are completely believable and affecting characters that grow on the audience as the film gets into its stride. Don’t expect cheap thrills Hawaa Hawaai. It proffers none. But if it is genuine entertainment that you are looking for, your search ends here. Amol Gupte’s story is soulful, heart-breaking and hopeful – moving you from tears to deep-thought. He skillfully creates a portrait of the lives of deprived children – with profundity and playfulness. . It’s often stretched and over-dramatized, yet, the story is so heart-warming that the flaws seem like unnecessary details before a climax (however predictable), that’s fulfilling. ‘HH”s inspiring story is for children, for the child in all of us and for adults who need to wake up to dream again. No doubt that the heart of the film is in the right place, it shows us a world which is so close to all of us and most of the times we choose to ignore and behave as if it doesn’t exist just because it doesn’t affect us directly. The film has its moments that will move you to tears. It’s a film that will touch your heart but it could have been much better had the focus been just the story. Looks like the emphasis is sometimes only on making you feel bad for the subject which should come naturally and not be so in-your-face. Hawaa Hawaai has all the ingredients for an absorbing and touching film that anyone who has ever had a dream can relate to. It is an inspiring, well-cast and well-enacted film. The street kids will win you over from the moment they walk into the frame. Everyone who cribs that Bollywood doesn’t attempt good films, must go see this. After a point you begin to feel like too many emotional devices are being used. I love underdogs. Who doesn’t? Especially those who come from disadvantaged backgrounds and show the privileged what’s what. And even more so when they are played by a bunch of endearing fellows, led by a lad who has a flame in his eyes, and a pleasing steadiness of purpose. ‘Hawaa Hawaai’ has a big beating heart, but you wish it had been a better film: it trundles on, leaps up intermittently, but doesn’t fly. Hawaa Hawaai is an intensely positive film that would turn even cynics propitious. It is not frequent that one would fall for a story like this which has little novelty. What persuades is that it comes with a big heart and a pristine soul. Amol Gupte tells this story with his conspicuously piercing, asking multiple unanswered questions and devising a masterly win for the underdog. If there’s one film that must be watched without fail, this without doubts stands as the best bet.